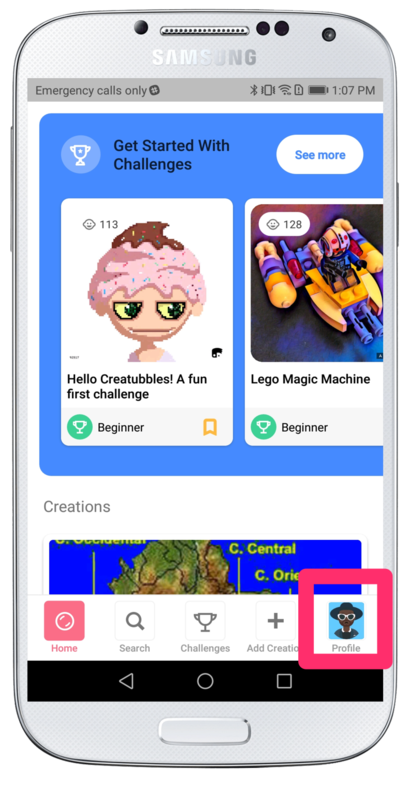 On Creatubbles, you can have your own page where all of your creations show up as a digital portfolio. 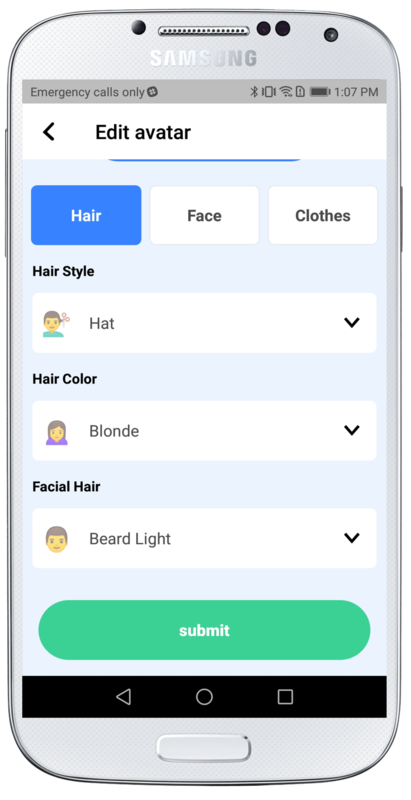 And you are able to customize the look of your own page! In this article, you will find the instructions on how to customize your page. 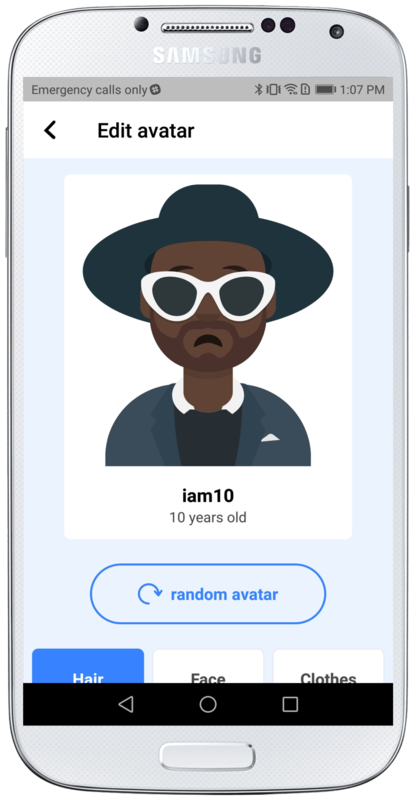 You can change your avatar whenever you like. 1. In the app, tap the Profile icon at bottom right corner. 3. Tap what you want to edit. Here, you tap the icon editor pencil. 4. The Edit avatar screen comes up. You can change the avatar completely by tapping on "random avatar" or change parts of the avatar after scrolling down. Tap "submit" when you are done. Please find the short tutorial video in case you are editing the profile header / background from a web browser on computer. You can also change the header or background of your page to make it unique. 3. Tap what you want to edit. 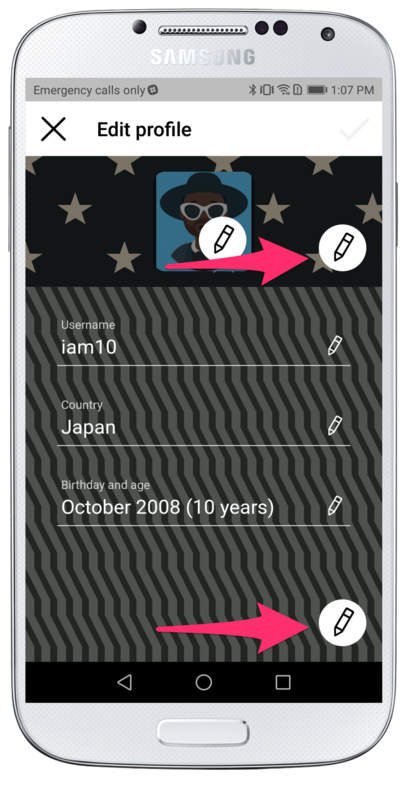 Here, you tap the header or background editor pencil. 4. 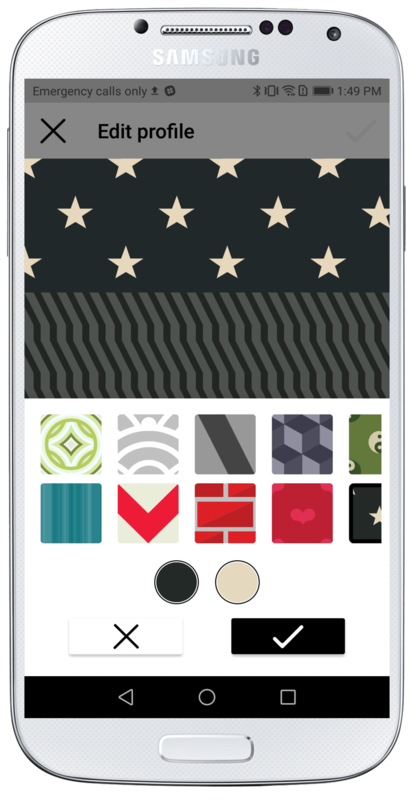 Tap on your favorite pattern to select and tap the check mark icon to finish. Tap the "X" icon in case you want to cancel the change. 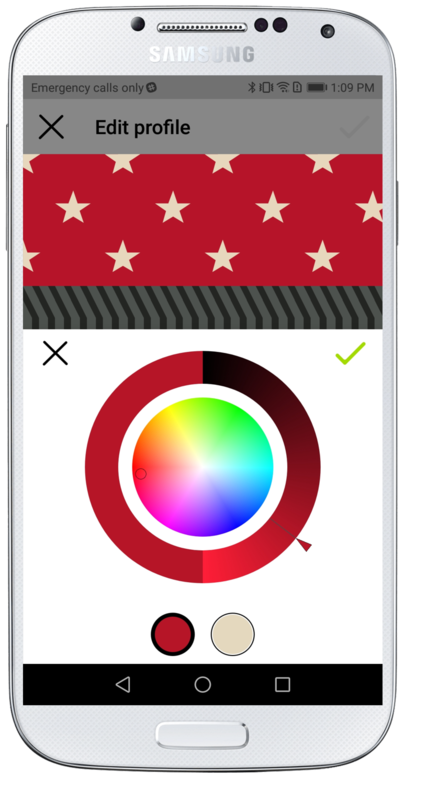 Special tip: If you tap on the circles above the "X" and checkmark buttons, you will be able to change the color of the pattern using the color picker! Please find the short tutorial video in case you are editing the profile from a web browser on computer. You can change your Username at any time. 3. Tap what you want to edit. Here, you tap the pencil icon next to "Username". 4. Edit your Username and tap the check mark icon at top right corner to save. Please find the short tutorial video in case you are editing the Username from a web browser on computer. 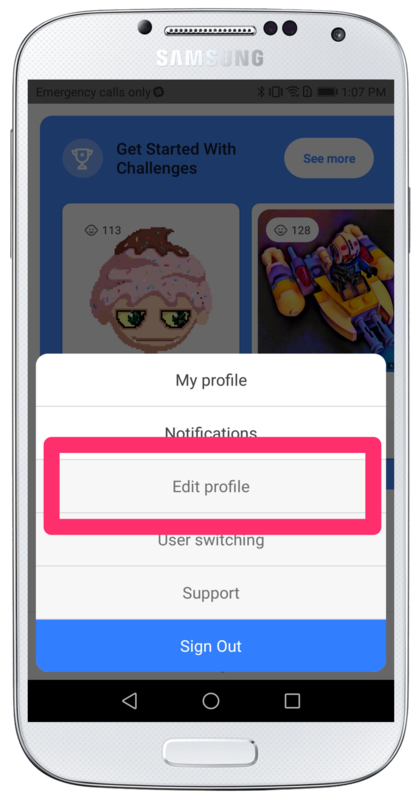 If you have any questions about customizing your Creatubbles profile, please contact us at support@creatubbles.com.